Learn, share, contribute, make new friends! 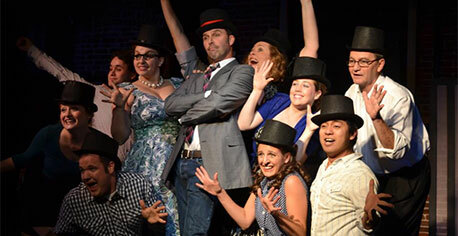 The TCAN Players are always looking for new people to contribute, whether it's on-stage, backstage, or off-stage. We are interested in hearing from actors, directors, producers, technical crew, stage crew, costumers, or anyone who has a passion for theater. You don't need any particular talents (although talent never hurts). We'll find something for you to do. While we can always use people with theater experience, there are many areas where no experience is necessary--you may even learn some things along the way. We strive to make everyone involved with a Players' production feel like part of the family.